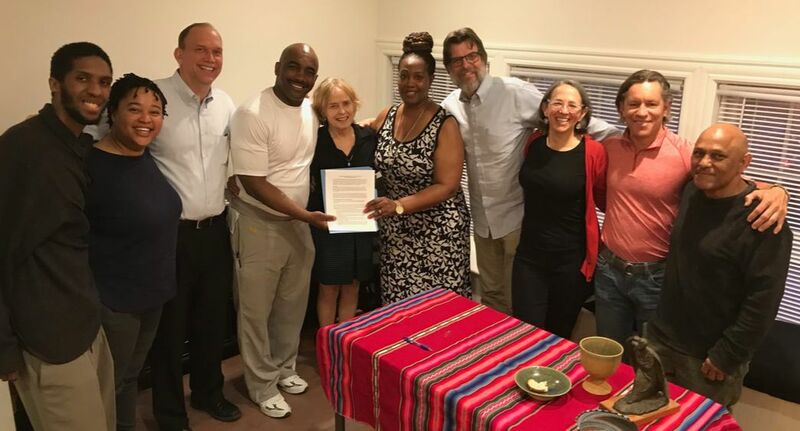 Through years of relationship with Pastors Jacqueline and Donald Conerly of Living Word Christian Ministries in Southeast DC, and deep call to support their passion for healing community, we connected them with Recovery Cafe Network (RCN) in Seattle. An exciting collective vision was given. Bread of Life member Jim Marsh, Jr, Jacqueline and Donald went to the new RCN member training in Seattle, becoming one of 15 new Recovery Cafe’s launched around the US. The Recovery Cafe DC Mission Group is called to help midwife Co-Founders’ Donald & Jacqueline’s “birthing” the new Recovery Cafe DC in Southeast DC. Since July 2018, Recovery Cafe DC has offered core Recovery Circles on a small but impactful scale, thanks to use of Jubilee Jobs SE offices, and we are searching for property to buy in Southeast DC for a full scale Recovery Cafe. Recovery Cafe DC is a healing, transformative recovery community for all who have been traumatized by addiction and other mental health challenges, homelessness and incarceration. We believe everyone is in recovery from something, and offer radical hospitality, kinship, belonging and an energy field of healing - communicating “your life matters” to every person. ​Killian Noe, Founding Director of Recovery Cafe Network, is an originating member of Lazarus House Church, now Bread of Life. Together, we are all part of a growing movement. Learn more at www.recoverycafenetwork.org.